2010 Anne Gros et Jean-Paul Tollot Minervois Les Carrétals - minty, peppery, potpourri, a little smoky. Not too tannic but still pretty young, obviously. 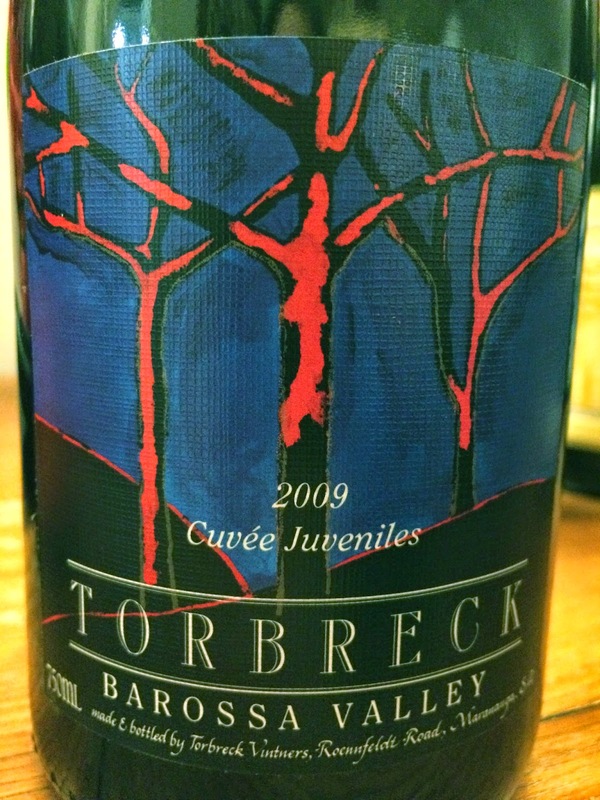 2009 Torbreck Juveniles - very ripe and sweet, with leather and animal notes. Very sweet on the palate with noticeable tannins. Not as classic Rhône as this wine was a decade ago. 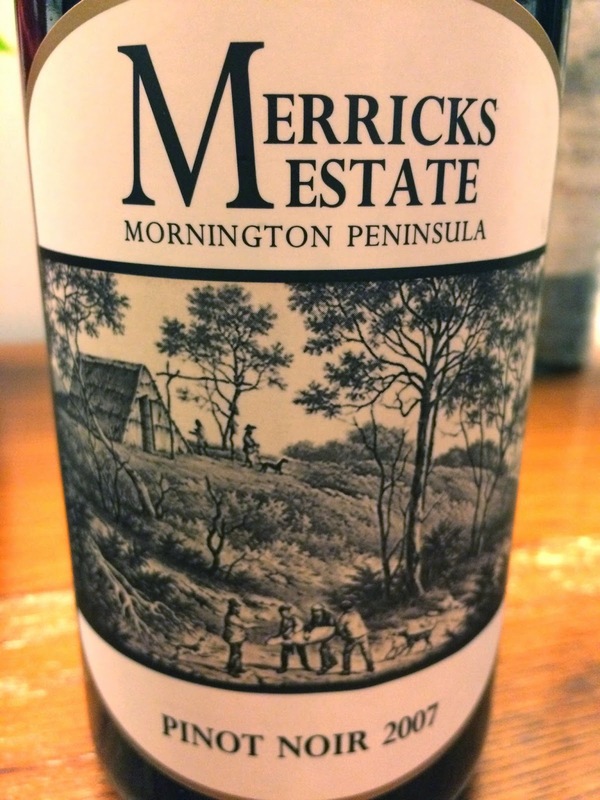 2007 Merricks Estate Pinot Noir - sweet nose with cherries. 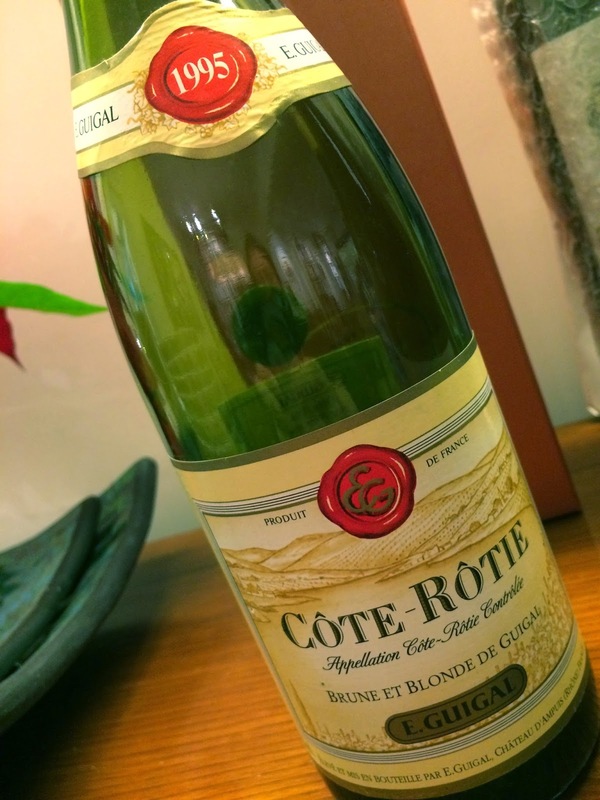 1995 Guigal Côte-Rôtie Brune et Blonde - nose of grilled meats, animal, a little stinky, but there's definitely the fragrance from the Viognier.